I am also in charge of manufacturing iPhone 7EMSMajorFoxconn(Foxcon) Has already introduced 40,000 robots at assembly plants in Mainland China and is reporting that it is promoting replacement with human laborers. Incidentally,Hon Hai Precision Industry which acquired SharpIs a subsidiary of Foxconn. 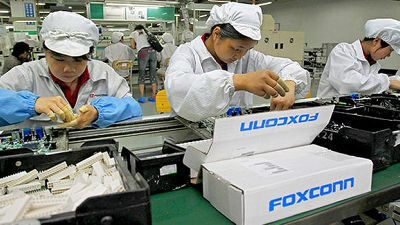 Foxconn who is in charge of manufacturing many of the successive iPhones is an EMS based in Taiwan, but the main manufacturing factory is in China with low labor wage. In that China, due to deterioration of working environment accompanying rising wages, suicide people in one iPhone manufacturing factory,Let employees submit a pledge not to "commit suicide"Frequently criticized Foxconn 's attitude of neglecting human rights. Foxconn, who is struggling not only for many criticisms but also for wage increases on the Chinese mainland, is active in introducing robots that work more accurately and harder than humans, never complaining, and in the past ties up with Google etc. We have been promoting the development of robots that replace humans on the production line, and it was already known that a human substitute robot "Foxbot" has been placed on the production line. You can see how Foxbot actually moves in the following movie. Hold a base in TaiwanChuo TousenAccording to Foxconn, 40,000 Foxbots have already been introduced to the EMS factory in Mainland China. "Foxbot is developed and manufactured entirely by Foxconn himself, except for key components indispensable for industrial robots such as reducers and servomotors, and related software is also available," said Die Chiapen, director of Foxconn's manufacturing automation division. We are developing all of our own products, "Chuo Tsushima reported. Mr. Dai said Foxconn manufactures Foxbot in Taiwan, Shenzhen, etc., and also announced that the number of production exceeded 10,000 a year. We have already introduced Foxbot throughout China, including Zhengzhou in China and Tablet manufacturing factories in Chengdu, Kunshan, Jiashan computer manufacturing factory. Furthermore, as Mr. Dai says there is a plan to step up the development of medical robots in the future without not only eliminating the possibility of acquiring another robot development company, but also developing a worker substitute robot on its own, I am showing strong enthusiasm for robot development. 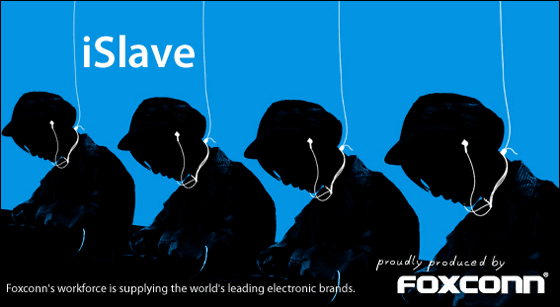 Foxconn, which produces the iPhone, started massively introducing an automated robot, does human work remain? Google found out to collaborate with Foxconn to develop "worker substitute robot"
Foxconn, which produces iPhones and others, denies coverage of "to swear if not committing workers to suicide" "harsh overtime work with low wages"
Students who infiltrated the iPhone manufacturing factory talk about "Why can not I return the iPhone manufacturing to the US?"